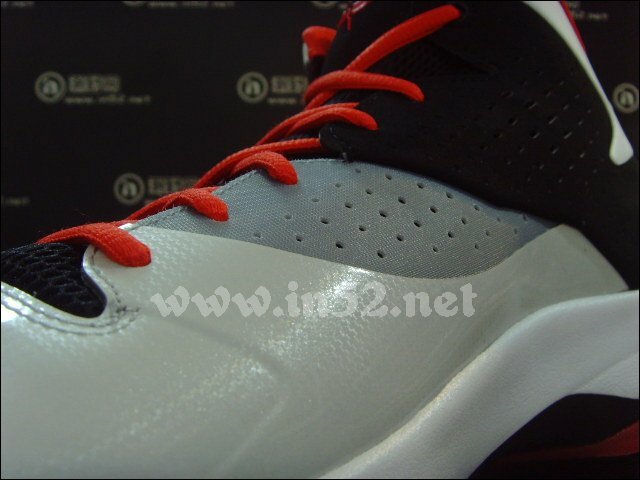 A follow-up look at Dwyane Wade's new Jordan signature shoe in the "Infrared" colorway. 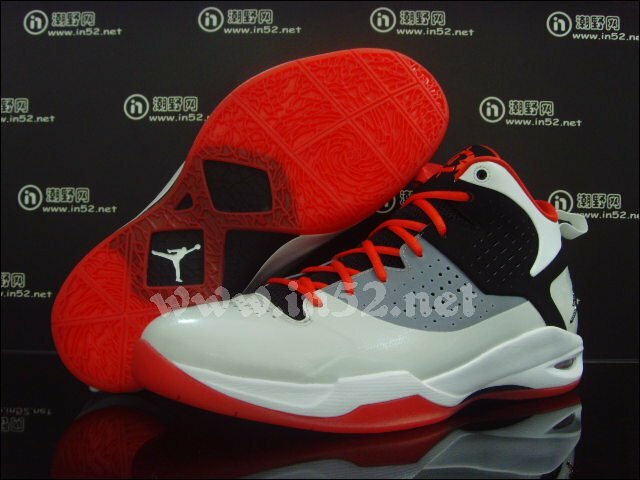 Dwyane Wade has been on a sneaker hot streak in recent games, debuting brand new Air Jordan 2011 colorways that certainly rank near the top. 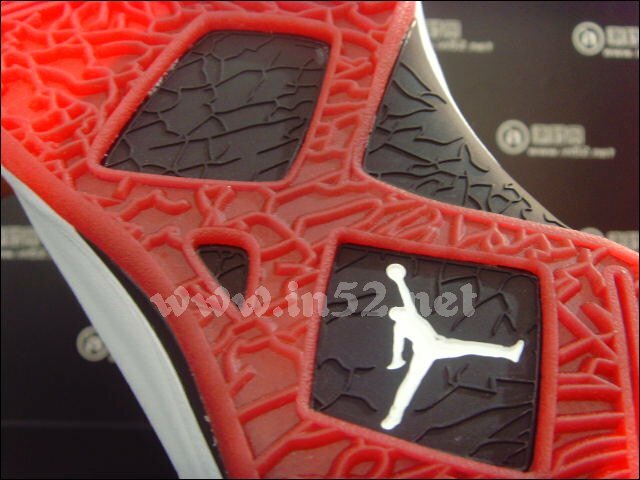 However, when the Miami Heat kick off the postseason next month, it looks like Wade will be wearing a brand new sneaker - in fact, what appears to be his first signature shoe on the Jordan Brand. 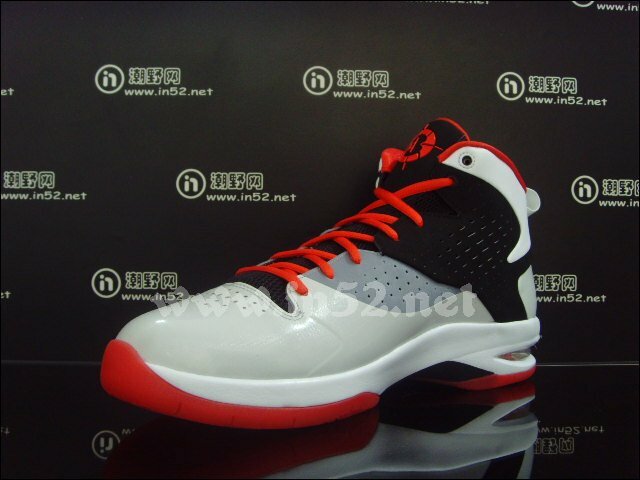 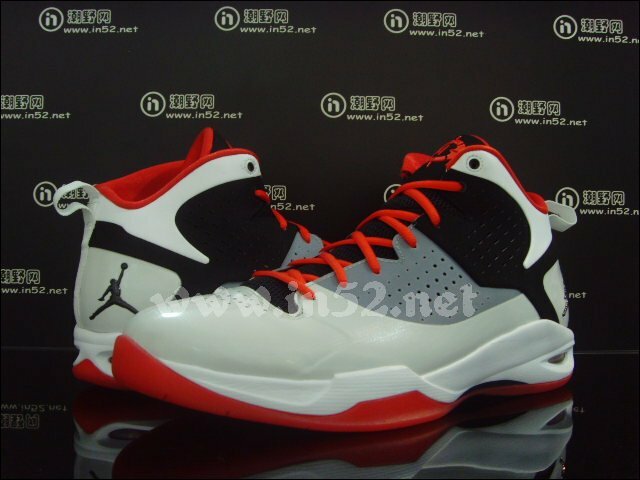 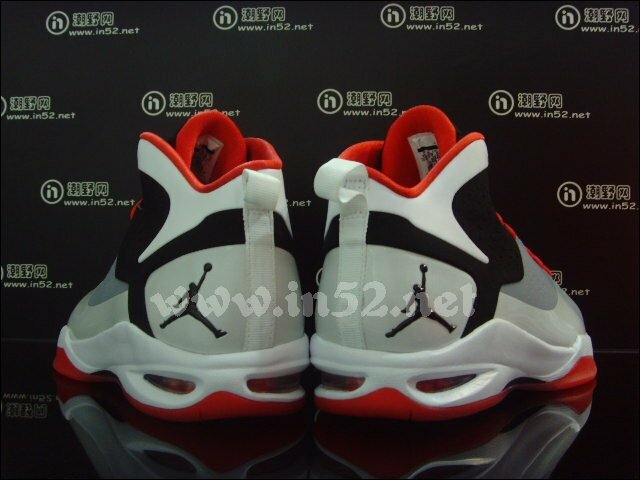 First previewed on Monday, the Jordan Fly Wade is seen here in an "Infrared" colorway. 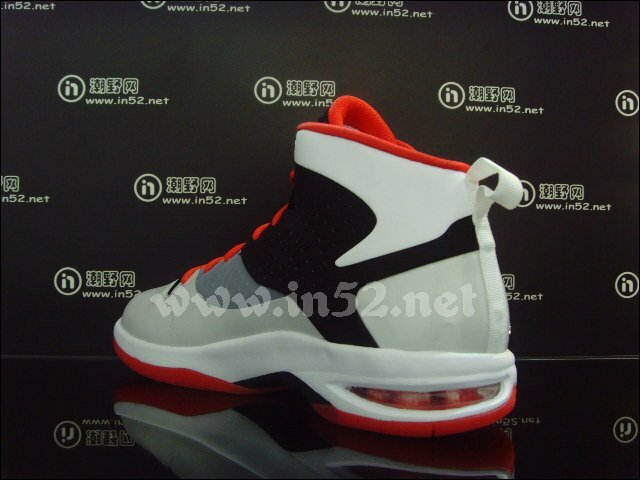 The mostly white shoe, presumably for Miami's home games, features black and grey perforated nubuck sidewalls, a black tongue and infrared detailing on the laces, inner liner and outsole. 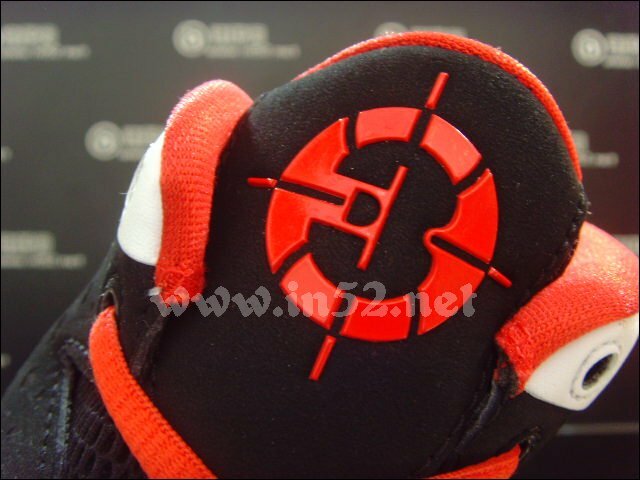 We also get a close look at Wade's new "Agent D3" crosshairs logo, which is centered on each tongue. 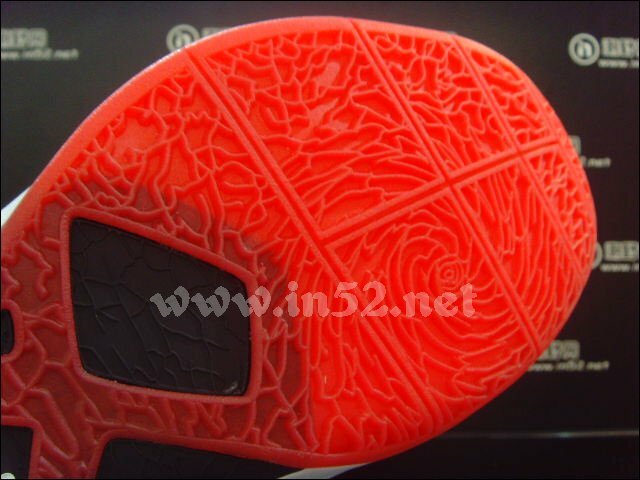 Keep checking Sole Collector for the latest information regarding Wade's new shoe.